What is Charlie Ramsay’s Round? 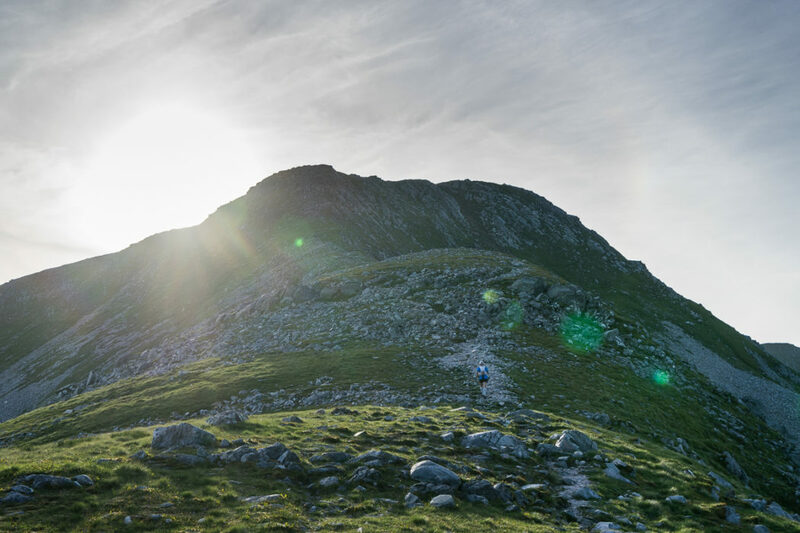 Ramsay’s Round is a circular ultra-distance mountain running route in Scotland. It’s around 95km (59 miles) long, with 8500m of ascent (that’s almost the height of K2), involving some tracks and trails but mostly rough, rocky and pathless terrain. 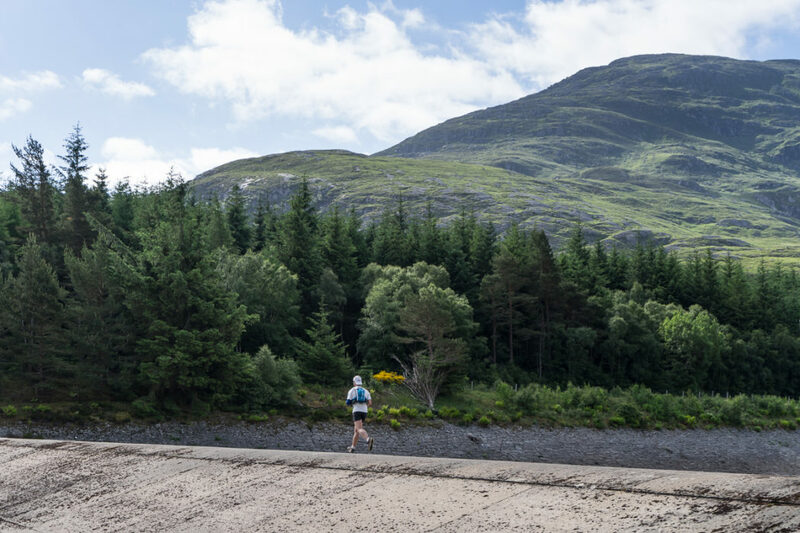 The goal is to start at the Glen Nevis Youth Hostel and climb 24 peaks (23 of which are Munros – 3000ft mountains), returning back to the hostel within 24 hours. It was conceived and first completed by Scotsman Charlie Ramsay in 1978 in a time of 23 hours, 58 minutes. The route is not marked and contenders can plot their own course between the summits. It’s also not a race; you can choose to do the run whenever you like, however you like. There are no prizes. Finishers simply have their names and finishing times added to the Ramsay Round website. 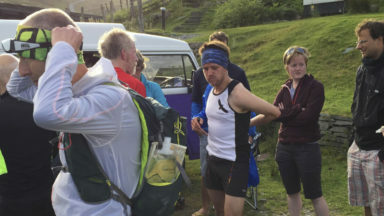 Contenders typically have a full support team and pacers to help with navigation and carrying food, water and gear, as well as providing morale. I chose to run solo, with some support at two points from my parents. On the 18th of July, I became the 92nd finisher. Many thanks to Open Tracking for providing me with a tracker so that friends and family could follow my progress as I ran the route. At 1.40am my dad and I got into the car to drive the ten minutes to the Glen Nevis Youth Hostel, where Charlie Ramsay’s Round starts. I put in my headphones to listen to a 1-minute excerpt from a podcast interview with Canadian ultrarunner, Garry Robbins. 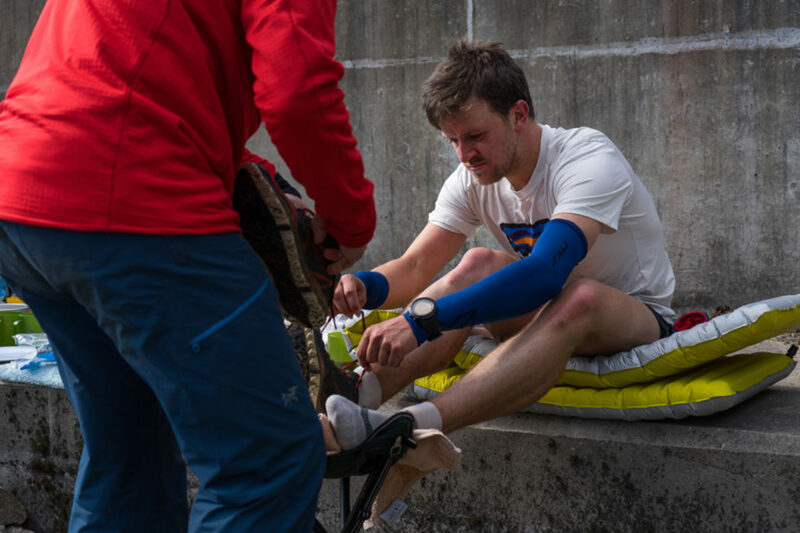 He spoke about his pride in being able to control his emotions and allow no negative feelings to creep in throughout his attempt at the monstrous Barkley Marathons race. I intended to maintain positivity throughout my Ramsay’s run, and this short reminder allowed me to get into the right headspace for the challenge. 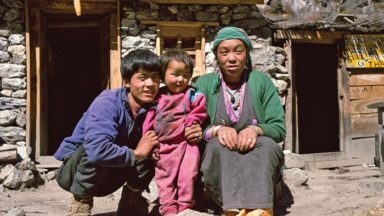 At the youth hostel there was a small welcoming committee of Charlie Ramsay himself, his lovely wife Mary, and my photographer for the day, David Lintern. I could immediately feel Charlie’s connection to these Lochaber hills and the route itself. A handshake, a look into his eyes and his arm around my shoulder bolstered my confidence and dispelled my fears, making me want to do him proud. I knew that I wouldn’t be the star of the show today: that would be the hugely inspirational Jasmin Parris, who, in an hour’s time, would be setting off on the round in the opposite direction, gunning for the record. Unlike the Bob Graham Round, I didn’t know what to touch to mark my starting point, so I just tapped my hand to a white post, clicked start on my watch and began running. 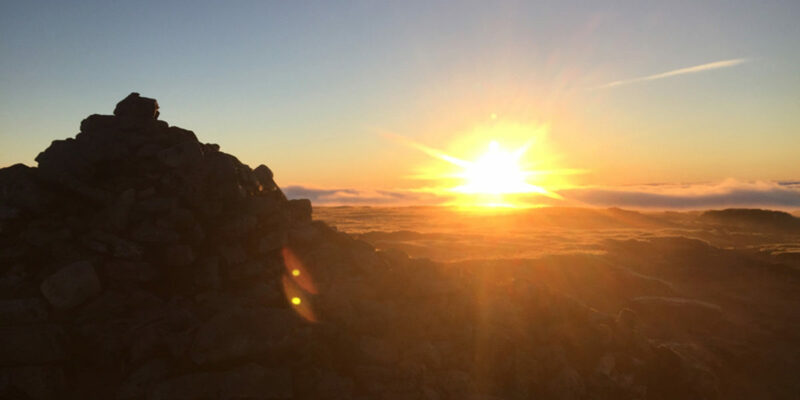 The fear was in my stomach, but I shut it down by concentrating solely on getting up Ben Nevis, knowing that I was well prepared and acknowledging that I felt strong and rested. I reached the Red Burn where I filled up my bottles for the first of many times (one water; the other with an electrolyte tab) and then got my head down on the direct line up the grass and scree of the middle section. I entered the nighttime cloud, then emerged onto the upper plateau above it. I could sense that the sky was on fire to the east. I jogged the lower-angled sections, walking the steeper parts until I joined the half-dozen or so other people on the summit at around 3.30am. I tagged the summit and set off down the descent towards the Carn Mor Dearg Arête. I felt superb jogging and moving fast over the rough blocks of the ridge. Being alone up here on this beautiful ridge at the start of my journey was exhilarating. I kept the excitement in check and ate a slice of avocado cake, concentrating only on the next hill, repeating its name under my breath as a mantra. On Aonach Mor and Aonach Beag I was shocked by the sudden thump of cold air as I ran through drifting cloud patches. On the latter summit I entered the cloud, where I would remain for the next two hours while I ticked off the Grey Corries summits. I wore a Berghaus hypertherm jacket over my Arcteryx baselayer, and added hat, gloves and a buff to keep me warm enough through the wind and moist air as I negotiated the slippery white rocks. I sang hymns to myself here, getting out half a line of ‘Jerusalem’ before having to gasp some more air. I don’t know why I decided to sing hymns to myself; I think it was to keep myself company while I dealt with the less-than-ideal conditions in the early hours of the morning. From Stob Ban to Stob Coire Easain I simply took a direct line towards the latter summit. Crossing the burn and refilling my bottles, I accepted that it would take a while and that I wouldn’t get bogged down in fighting the deep grass and heather. I decided that I would listen to an entire album (Ryan Adams, 1989) on my phone’s speakers to help pass the time. This was the only time I actively disassociated myself from the task; for the rest of the round I tried to connect with the mountains, rather than distract myself from them. I enjoyed the run down the last hill of this leg to reach the first support point at the Loch Treig dam. I took some bad lines, and had to jump down some small cliffs, but still made the meeting point by my scheduled time. 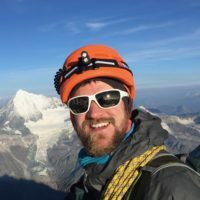 It’s worth pointing out here that I had prepared a full estimated schedule, having carefully calculated the split times between each summit in accordance with what I thought I would be likely to achieve. However, on the run itself, I deliberately didn’t concern myself with these timings; my watch was for reminders of when to eat and where to go (GPS), rather than worrying about whether I’d reached such-and-such summit 1 minute slower than expected. I arrived at the support point after 7 hours and 26 minutes (half an hour ahead of schedule), feeling good and glad to see the support team of my parents, our dog Cassie, and David. I sat down and the machine was set in motion: my dad changed my shoes and socks and washed my feet while my mum resupplied my pack with more food and fluids. I had the task of eating and drinking as much as I could from the buffet table within a 10 minute period. Salted Pringles, cocktail sausages, porridge (couldn’t eat it), bacon sandwich (couldn’t eat much of that either), tea, coke, water. ‘No avocado cake for the next leg, please’, I said, knowing that it had made me feel a bit queasy during the first section. 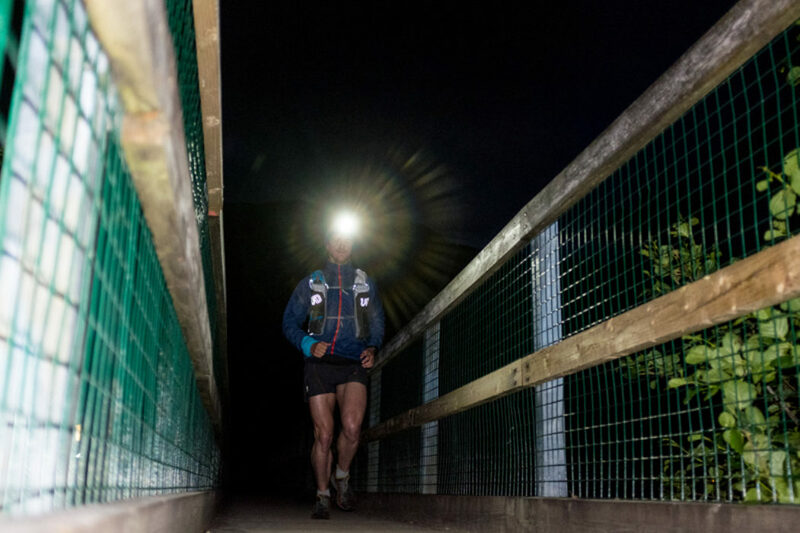 The buzzer went off and our 10 minutes were up: I was off onto the varied ground of Leg 2. Once settled into the next long climb (scheduled to take over an hour), I tried to eat the ham and cheese sandwich that had been thrust into my hands on leaving the support point. I half-heartedly chewed the mouthful, but after some minutes spat it out and regretfully tossed the remainder. I had no interest in eating these solid foods, they made me feel queasy and felt too substantial. Exploring the pockets of my pack while trudging uphill, I discovered I had a small (1 hour ration) bag containing Jelly Babies, Percy Pigs and yoghurt-coated cranberries, and two energy gels, in addition to a whole pile of almost useless solid food options. I knew this wasn’t enough to fuel me properly, but I kept calm and tried to think of a positive solution. I made sure to drink and over the next two climbs I slackened my pace to allow for better digestion of the disgusting avocado and hummus wrap that slithered down my throat. Coming down Chno Dearg, I met a runner coming up in the opposite direction. I guessed this was Jasmin’s ‘nav man’, leading the way for his runner just behind. ‘You out recceing Ramsay’s?’ he asked me. ‘No - I’m on my Round,’ I replied. He asked my name, then clearly remembered that I was the other runner that Jasmin had been asked to watch out for around this halfway point. He kindly asked if I needed anything. Actually I really needed a large bag of Jelly Babies to get me through the next three hours before the next support point, but I knew anything he had might have been needed by Jasmin, so I declined. I saw Jasmin just below so jogged down, waved enthusiastically and gave her a sweaty hug before continuing down the steep descent. This meeting buoyed my spirits for a few minutes, then I settled back into a low energy, overheated state. The cloud from the morning had burned off and now I was really wilting in the midday sun. The climb of Ben na Lap was my lowest point and I struggled to make upward progress on my diagonal line. 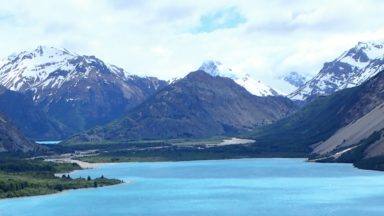 To avoid digging myself into a hole, I slowed down, set short target points (‘just walk to that rock there’), drank lots and tried to consume more solid foods. My vow to maintain a positive mindset was taking a hit, but I knew that the suffering would only last until I reached the next transition area. I passed Charlie and Mary on the track. They cheered me on while I filled my bottles, but again, the good feelings from having seen them wore off almost immediately. The next two hours were a pathetic display of shuffling, hat-wetting, splashing in puddles, enforced walking, rationing of Jelly Babies and cooling off in rivers. I would rouse myself to run a few steps before dejectedly sinking back into a walk. 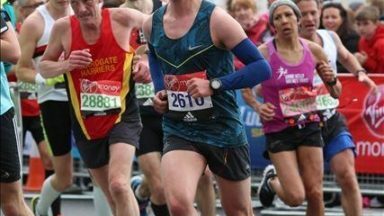 I was low on energy and suffering terribly from the heat, but throughout this I never had the slightest thought of quitting. My attempts to keep cool (dunking my hat in streams and splashing through puddles) weren’t enough: only when I lay down in a stream and completely submerged myself did I succeed in bringing down my core temperature. When the support point at the ruined building beside Loch Eilde Mor finally came into sight I knew I now had a chance to recuperate and that the rest of the day should be better. “I need 20 minutes here,” I said as I lay down on a Thermarest and my parents attended to me again. Coke, mini sausages, pizza, tea. Shoes, socks, t-shirt. I needed to switch to my smaller, lighter pack now as my back was killing me: when walking the climbs, the muscles in my lower back were being overworked – the result of not using poles (as I normally do on long routes) due to their ineffectuality on such rough terrain. I requested 17 salted caramel gels, a pack of Jelly Babies and several hours’ supply of carbohydrate drink powder, knowing that I couldn’t eat any solid food from now on. To complete the round in less than 24 hours, I had 10 hours and 45 minutes to complete the final section that was scheduled to take 8½ hours. 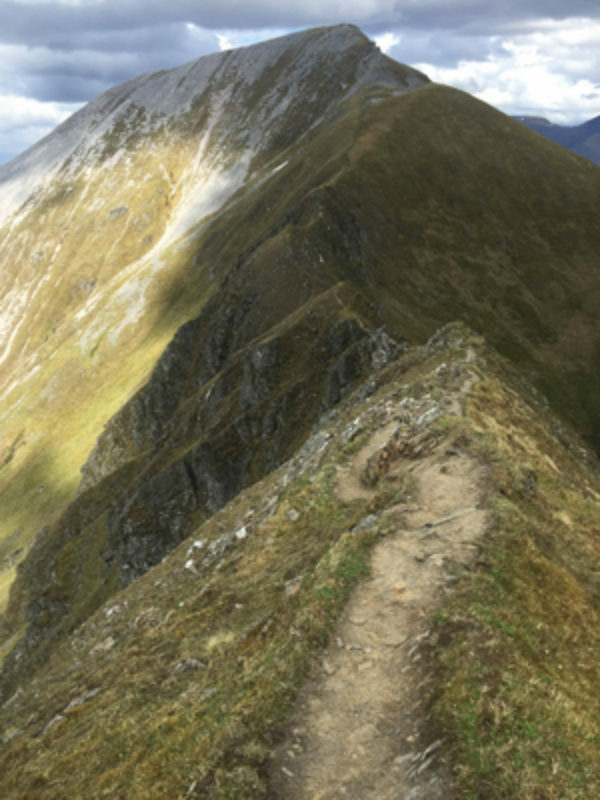 These final hills are called the Mamores and there are 11 peaks to climb: one with grassy slopes; one with a section of single-track trail; the rest rough rocks, involving light scrambling and requiring the use of hands at times. There were several ridges that you wouldn’t have wanted to fall off. My energy levels were better now, I wasn’t so hot, I was beating the schedule, and I was running alone on some of the best mountains in Scotland. My bodily aches and pains disappeared and I was truly enjoying myself, heart pumping, legs burning and mind racing. Somehow my legs negotiated the rocks nimbly and then allowed me to surge down the soft grass to the last peak. The final descent went by in a flash and soon I was crashing blindly through the dark forest in the dusk in search of the track back. My legs felt like they could carry me for hours longer as I increased my pace to 4:40/km (7:30/mile) on the road. I rounded the last corner to see my fantastic supporters and the youth hostel. I touched the white post and looked at my watch, delighted to see that I had completed Ramsay’s Round in 20 hours, 48 minutes. I feel it has taken to this point in my mountaineering and running development to be able to consider taking on a run of this nature and magnitude. The mental determination necessary to complete it and the technical skills of running on ridges and navigating in big mountains are things I have developed over a lifetime in the mountains. 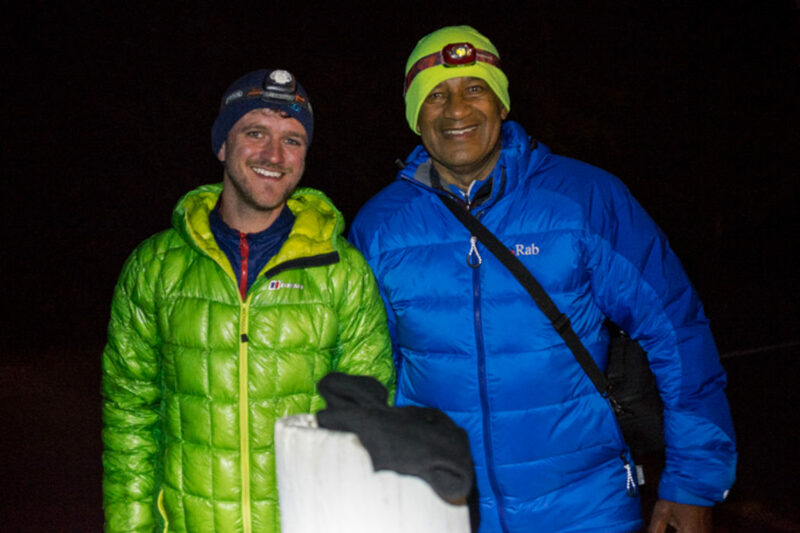 I am happy that my supporters were confident that I was able to look after myself on the peaks, and that I could be trusted to make the right decisions myself. I will always view this Ramsay’s Round run as a very personal experience, where I had a strong and meaningful connection with the mountains I traversed. I was halfway along the Mamores when I received word on the phone that Jasmin had broken the record. She hadn’t just broken the women’s record; she’d also smashed the outright record too, recording a time of 16 hours, 13 minutes. 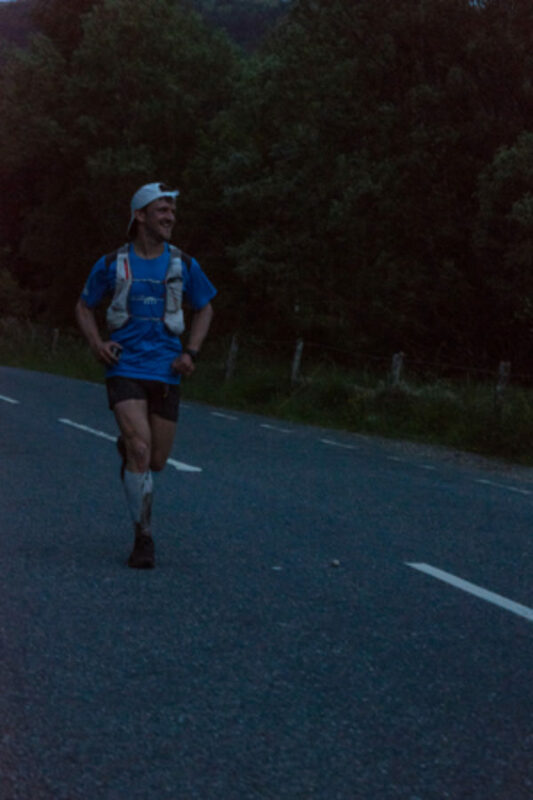 The majority of Ramsay’s finishers finish in the 23rd hour; I had come in in the 20th hour. Jasmin was four and a half hours faster than me! I felt privileged to be out on the hill at the same time as her.